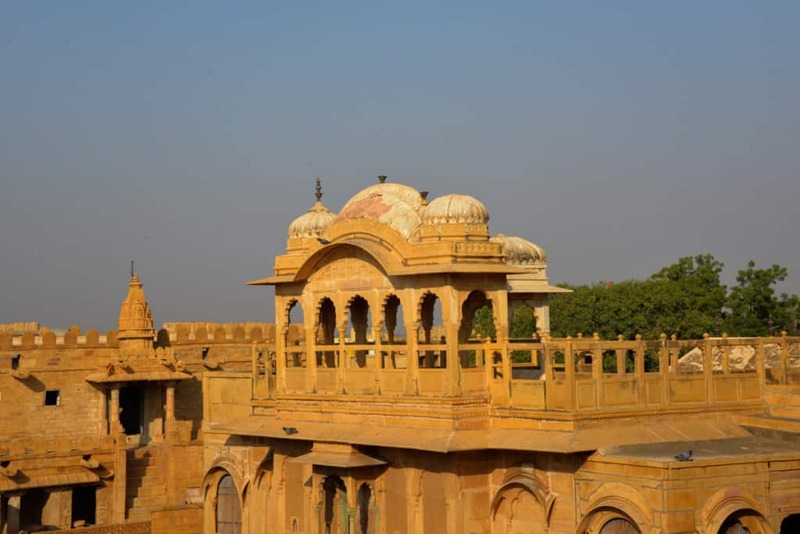 I’ve covered Jaisalmer in three parts, as there is so much to the city. 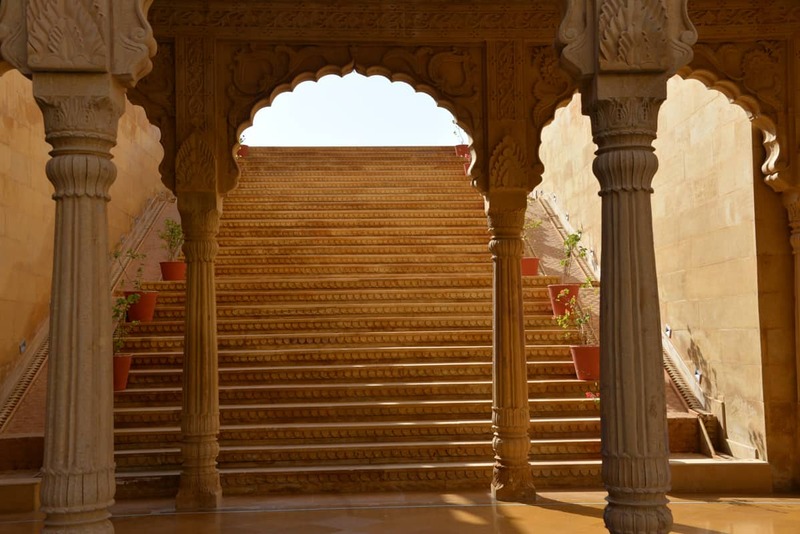 This is Jaisalmer – Part 2, you can part 1 here. 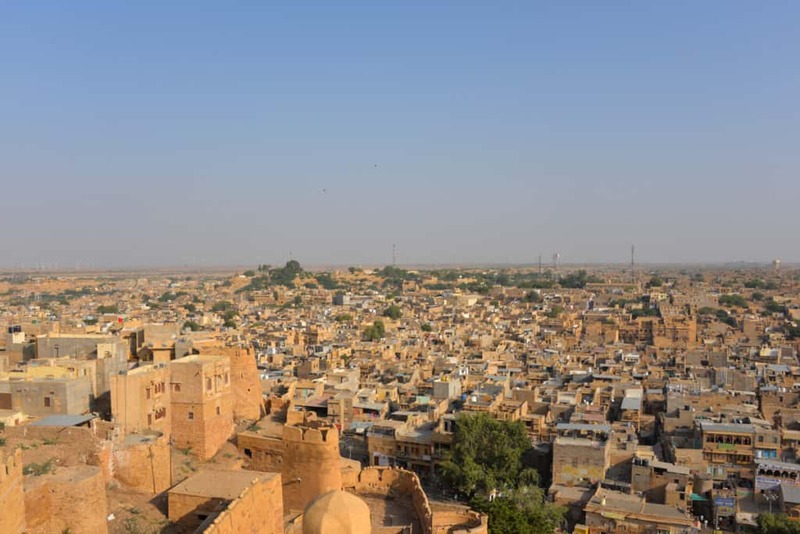 So we had an eventful day 1 in Jaisalmer, visiting the haveli’s & Vyas Chhatri and shopping to my heart’s content in the local market and finishing off on the roof top restaurant at Hotel Gulal with exquisite views to the fort. On our 2nd day, I was eager to get to the fort & more. 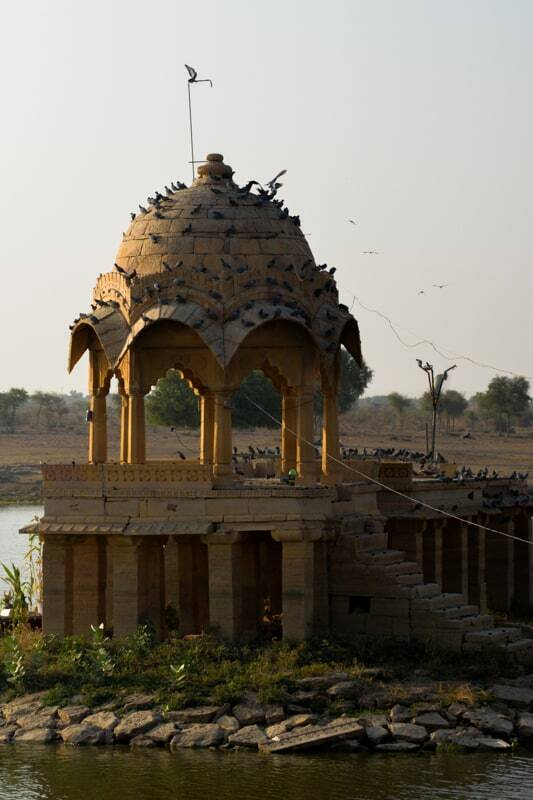 We started the day with Gadisagar Lake, which was built in 1367 by Maharajawal Gadsi Singh. It was made as the primary source of water to the otherwise dry city. The lake is a few steps walk from the main road lined with multiple small shops, it is surrounded by number of temples and rest shelters. 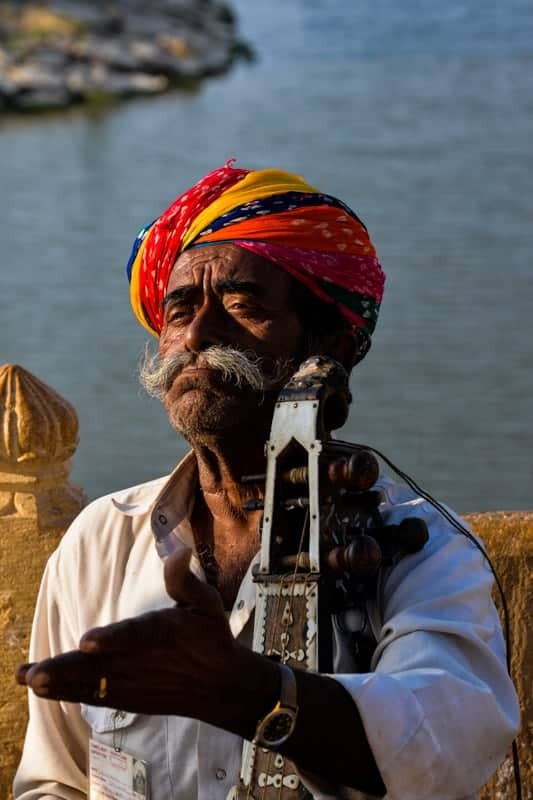 An old main played a sitar with Rajasthani folk songs which added to the ambiance. Kids were also seen feeding the fish in the lake. We enjoyed a few moments of peace and then headed to the fort. 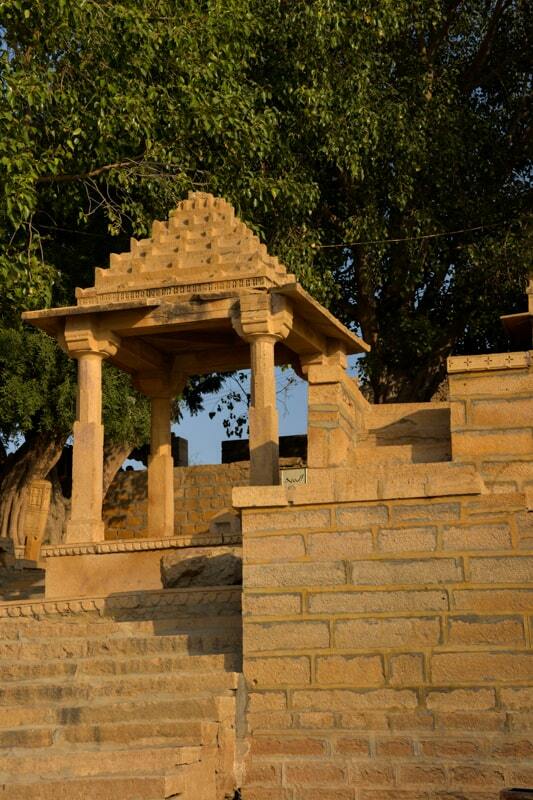 Its best to take a tour guide for the fort, so you can easily understand the history. I also recommend to pay for the camera at the fort as I was able to capture some great shots of the city from the overlooking terraces. While we parked the taxi at the market, we took an auto rickshaw to drop us to Dusshera Chowk, as the road is pretty steep and its a good idea to keep the energy to enjoy the fort, you can however walk back down. 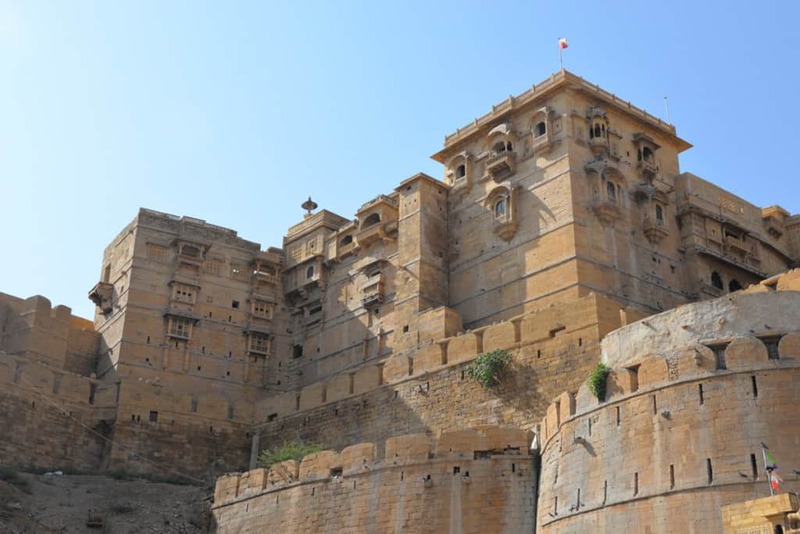 Jaisalmer Fort is one of the best kept, it consists of Raja Ka Mahal & Rani Ka Mahal. When you start the tour, the first thing you see is the marble throne, which is still used in many royal functions. The Sation Ke Haath brings to life the story of wives of warriors who sacrificed their lives along with their husbands by taking Sati. Its very engaging to see the armory, arts & crafts used by the Kings & Queens. 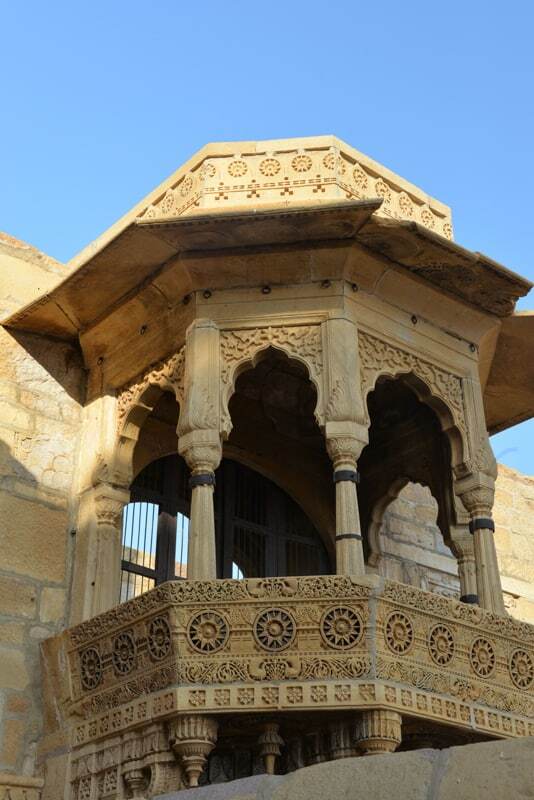 The fort was built from 12th to 18th century and passed from generation to generation of Jaisalmer rulers. Various parts of the tour bring to life the era and was pretty fascinating to see. I was able to capture many breath taking views of the city. It looked so different and the city’s skyline accentuated the dessert colors. 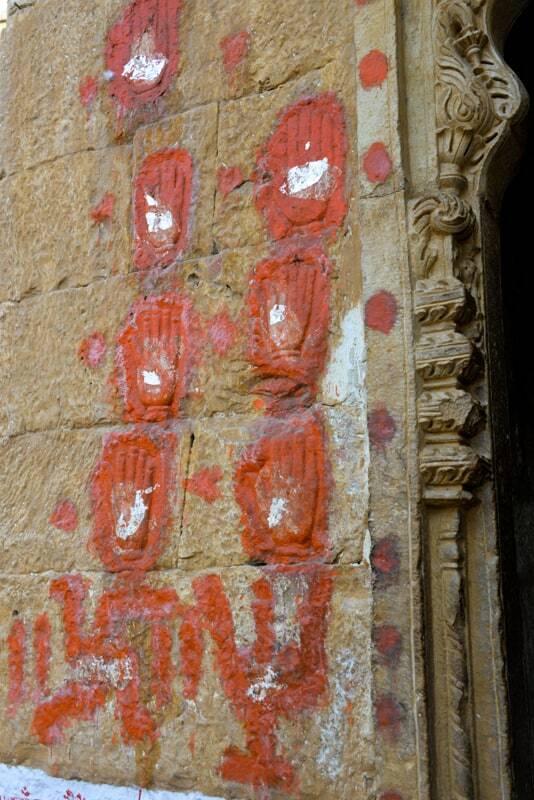 In the fort premises you can also visit the Jain temples, stunningly carved they have been dedicated to Jain Tirthankers. After strolling in the narrow lanes of the fort and doing some more shopping, we took again to the road to head towards Sam sand dunes. 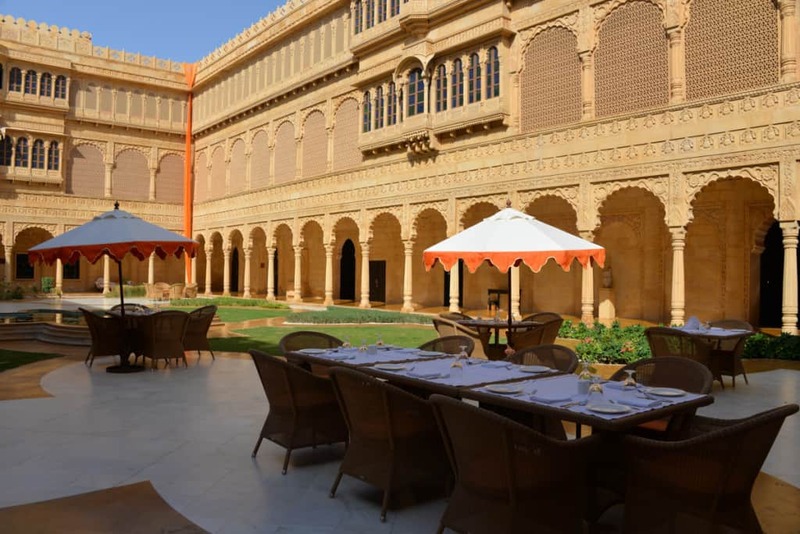 I’d a nicely planned agenda on my mind to stop over at the picturesque Suryagarh for a lunch and it was absolutely delightful. We enjoyed Rajasthani delicacies like Kumatia Curry, Laal Maas, Bajre Ki Roti and Makke Ki Roti in lunch, enjoyed the property a bit and took on the road once again towards the sand dunes.